SEO Resolutions for 2016 – Are You Prepared? Tired of making the same old new year’s resolution that don’t bring you happiness or your business revenue? Make a new year’s resolution that won’t fail! Drive users to your business by following simple strategies to improve your SEO in 2016. This is your year for business success! Get your content out there this year. Content is the best way to achieve a higher ranking on search engines, better website visibility and quality setup of website backlinks. However, don’t get caught up in content that isn’t relevant. As they say, quality is always better than quantity. If links aren’t relevant to your site, Google will penalise those links. It is best to write relevant content for each landing page, reaching about 400-500 words including your chosen SEO keywords. Google crawlers will be able to recognise this unique content and rank you higher in Google search! It’s as simple as that. If you have set up your content and your website is being noticed, you achieve quality backlinks. The better your content is the more prominent and important backlinks your site will get! Contributing to your search engine rankings and social bookmarking it is important to get noticed on social networks. 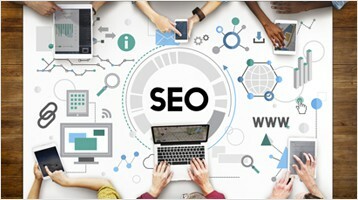 Even though search doesn’t directly affect quality score or search engine rankings, it does extend traffic to your website, and from there users can share, like, view your sites content, which delivers a higher ranking score. Social networking is very important to buyers. Google uses every social media post as a search page and in 2016 social media channels will become indexed by search engines. Basically it is important consumers are engaging in your social media posts because, buyers make their decision to buy a product by viewing social media accounts. New year, new trends. If you’re keeping up with the Kardashian’s you can keep up with SEO trends. This year’s trends so far are simple; something you are already familiar with, your mobile phone. Remember Siri? Well many mobile users have switched to verbal search phrases rather than typing into a keyboard. As users are speaking into their phone there is more room for error within queries. To avoid confusion, it is important to create structured data through your website codes. If you’re already talking about optimising your website for verbal search phrases you’re already ahead of the competition. Get to know your locals. Your physical business location and your branding in search has become increasingly important and competitive. My business signals 14.7% of overall ranking factors. This includes categories, keywords in your business title and proximity. It’s so simple to achieve local SEO listings, simply create a Google Plus+ account, and provide your location(s), the service you offer and directories or business listings. This allows potential consumers to see exactly what they’re buying and where they’re buying from all in one advertisement. Fortunately Google has given us insight into their next move. Remember how we talked earlier about quality content over quantity? It’s important and very beneficial to Google’s game-changing algorithm update. This year Google will be fact-checking your content! So, channel your inner Google. Read articles, follow competitors and stay updated, you never know what Google’s going to do next! The list of optimising strategies can go for days, which is what makes this new year’s resolution so exciting! Set up goals for your business and achieve them now! Be resolution realistic in 2016, Be Media.